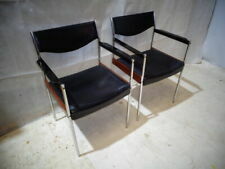 These are a great pair of retro elbow chairs or carvers, dating from the 1960`s or 70`s. 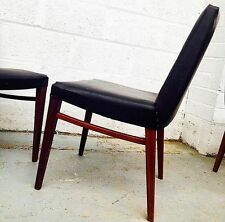 They are made from solid teak and have a sleek mid century design with nicely shaped back rests and arms, and greeny/brown wool like upholstery. A really cool and striking pair. We have a large warehouse at B97 which has a range of furniture from the 17th Century to the 1960s. 0 to 100 miles of £15. 150-200 miles £25. 100-150 miles £20. Feel free to collect from Aston in Birmingham. The chair stands 100cm tall and is 52cm wide at the back, the seat is 40cm high by 53cm wide, the arms are 55cm high by 59cm wide. No makers marks. 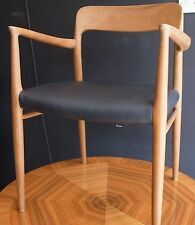 A very beautiful example of a chair designed by Danish furniture designer Neils Moller. 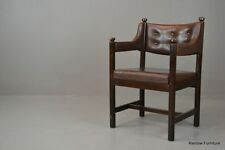 This model 56 carver chair is in Teak with black leather seat. Arm height: 67cm. Seat height: 46cm. Back height: 77cm. 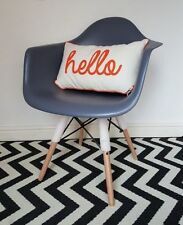 Stylish ‘Greaves and Thomas’ armchair. mid century / 1960's. Costs vary from£50 to £90 depending on the size of the item and your location. A very beautiful example of a chair designed by Danish furniture designer Neils Moller. This model 56 carver chair is in Teak with a papercord woven seat. Depth: 46cm. All pieces have different numbers/letters on the backs and sides. Painted numbers and letters will differ on each unit sold. Single seat. Stylish ‘Greaves and Thomas’ armchair. mid century / 1960's. Costs vary from£70 to £90 depending on the size of the item and your location. Rare Danish high back lounge chair. 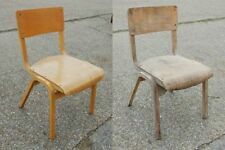 Grab a bargain - reduced to just £600.00 per chair! Height from floor to top of seat (approx) Depth of seat pad: 48cm approx. Norwegian interior designer Frederik A. Kayser was born in 1924 in Bergen. He graduated from the National College of Art and Design during WWII. He stayed there for four years before opening his own design firm in 1956. Very much in the style of mid-century Danish pieces, particularly Borge Mogensen for Bramin. 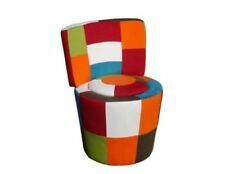 The chair stands 102cm tall and is 47cm wide at the back, the seat is 40cm high by 55cm wide, the arms are 55cm high by 64cm wide at the front. Solid teak wood! Elegant and fancy Chair. It is a very convenient, as new Chair! Weight approx. 13 kg a Chair. Material Teak. Braid of wild banana leaves a non-edible variety of banana. Fine contour-curved shape and beautifully crafted feudal structure.